The girls love all things related to ponies and horses, so when they saw the Zoomer Show Pony there was much excitement in the house. The girls have been having so much fun with the pony since it arrived. Bee in particular loves it. 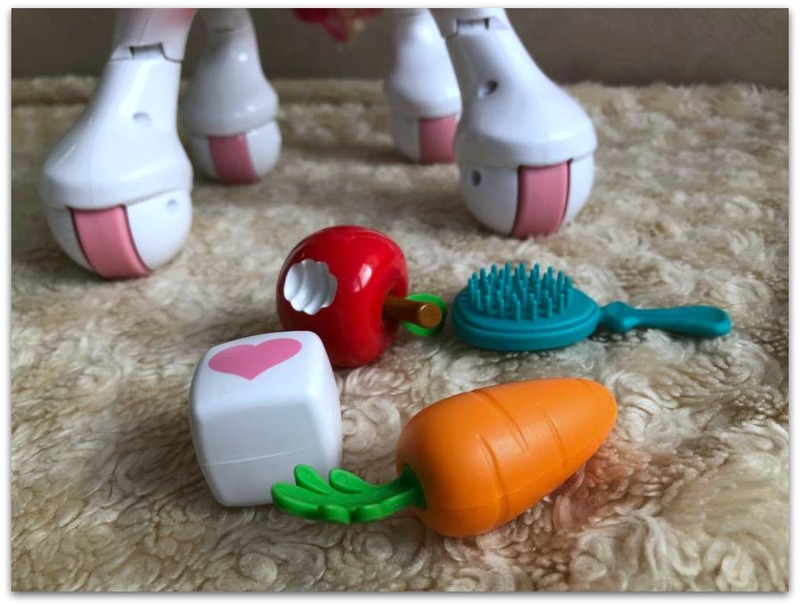 The Pony has a number of modes which make her fun to play with: Pony Mode, Grooming Mode, Training/Tricks Mode and Sugar Cube Play. This is the mode the pony is in when it is switched on. In pony mode you play with the pony by petting her cheeks, petting her nose and feeding her the apple. 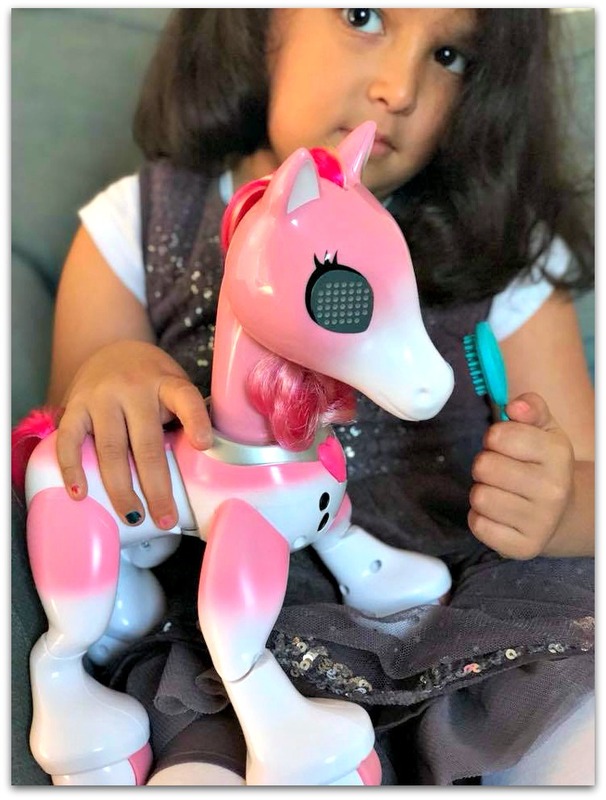 In this mode you get to brush and style the pony’s hair and also get her to move her head. By feeding the pony the carrot you can enter training mode and teach your pony tricks like a count trick, figure 8 trick and music trick. By giving the pony the sugar cube you make her happy. The more you feed it to her the happier she gets. If you feed her 6 times in a row she gets hyper….which is a lot of fun for the kids. The girls have loved trying to teach her the tricks and have enjoyed brushing her hair. They particularly love it when she ‘dances’ to music and moves around. What I personally loved is that she moves easily on the rug and the carpet. Usually moveable toys struggle on carpet but the pony whizzes around easily. With the instructions you get a guide as to what the different eye light combinations mean. Initially it can be a bit confusing but once you get the hang of it you can get hours of play with the pony. Unfortunately batteries aren’t included so you will have to get your own before you start playing. You can tell when the batteries are running low when the pony starts sleeping more. 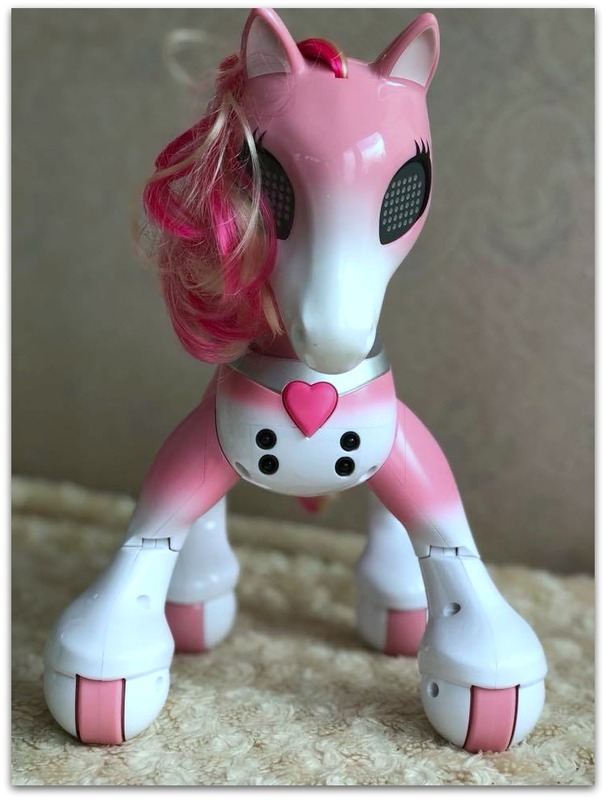 The Zoomer Show Pony retails at around £59.99 and is available from most toy stores and Amazon: Zoomer 6036997 “Show Pony” Playset . At £59.99 it isn’t cheap. 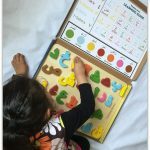 However any child that loves horses and ponies is sure to love it..and the fact that it is interactive makes it worth the price. A gift that is sure to be loved. Disclosure: We were sent a Zoomer Show Pony for the purposes of review. All thoughts and opinions are our own. The post contains affiliate links. 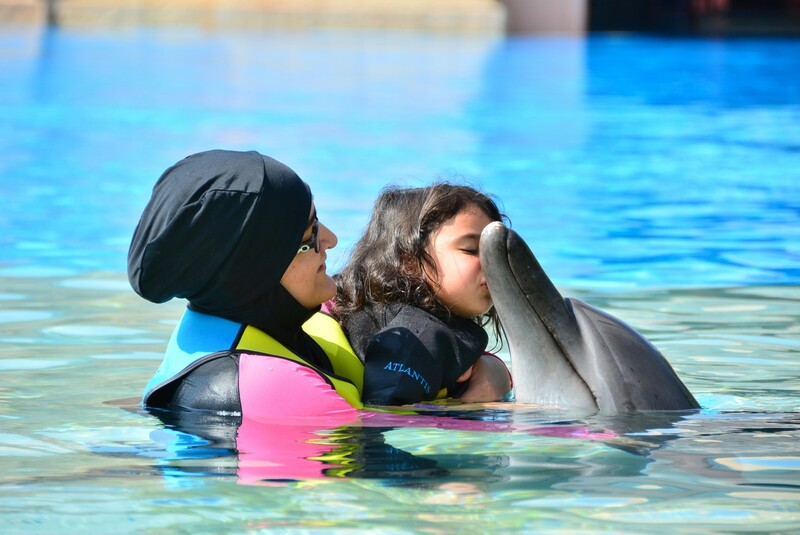 Oh my gosh that is so cute! If I was a kid I’d love to have that to play with! To be honest, I could probably still spend a few hours today grooming it, haha! Got to admit I have groomed it a bit too lol! This sounds like fun. Even I feel like playing with it although I’m a complete grown up . I’m sure your daughters would have loved it. They are certainly enjoying it! 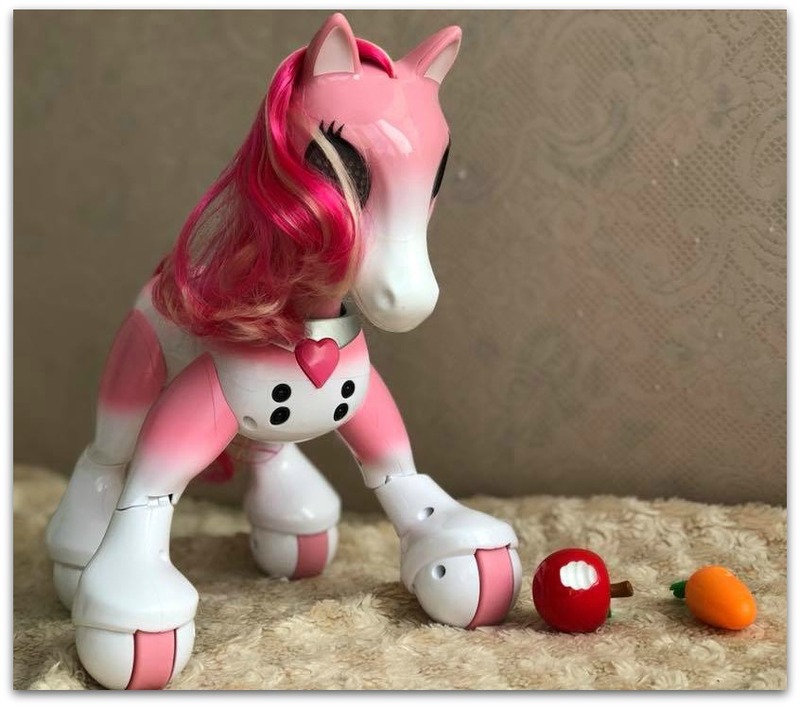 It’s a nice toy for girls to learn about taking care of an animal in a form of this interactive pony. Pretty cool! Omg that pony looks so adorable! Me and my lil sister adore ponies as well (can’t get old for that lol! ), and she does her little dance as well! Thank you for sharing. Bet Bee had enjoyed it lots. 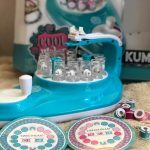 That’s a pretty toy….love the pink color….thank you for sharing the detailed review…. My Lil loves ponies and always tries to comb the dolls. She is going to love this pony horse. I am not a mother nor am I a kid but this toy looks like something I would have loved as a kid!! This toy looks like a lot of fun. I’m sure my kids would love it!